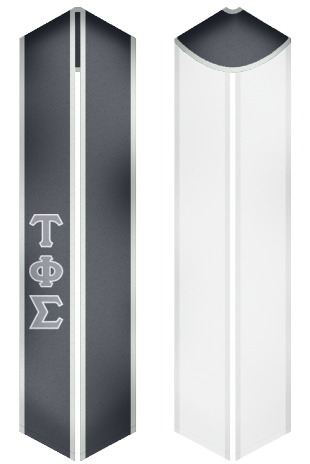 Tau Phi Sigma Fraternity was established in 1992 at the campus of the University of Illinois at Urbana-Champaign. This organization is considered to be a large multicultural college fraternity that has 8 collegiate chapters and alumni chapters in the Midwest. The main objective of Tau Phi Sigma Fraternity’s members is to achieve good results in education, the cultural awareness of humanity and support brotherhood, equality, loyalty and respect in all countries of the World. 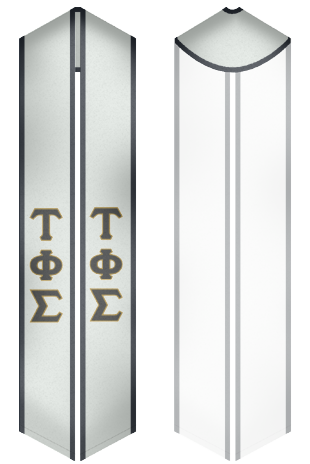 Custom Sash offers the best sashes for students of Tau Phi Sigma Fraternity. The stoles are beautiful and made of high quality materials, which last for a long time.